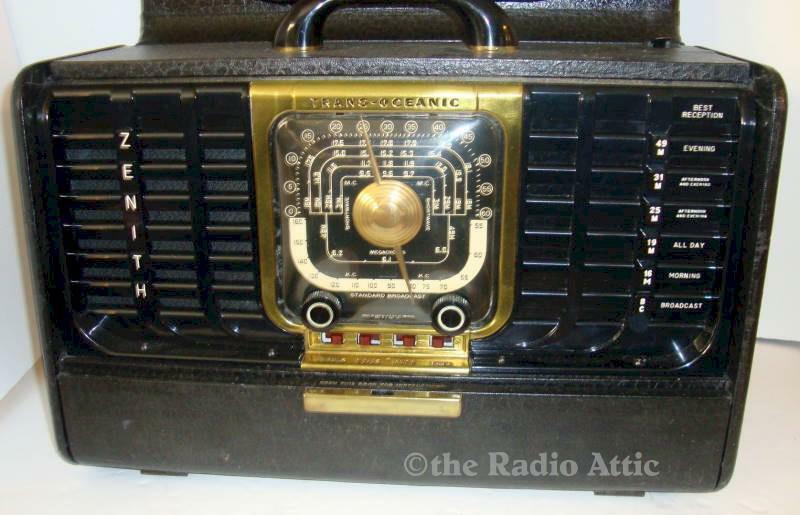 This is an early Zenith Transoceanic from the 40's. It's in excellent condition and is super clean, almost looks new! It plays very well with lots of volume. Add $45 for domestic shipping. You are visitor number 1,187 to this page.